Where there is a conflict between Terms and any other provisions of Engagement to which there Terms relate then these terms shall prevail. (a) In their Terms or any document relating to the Engagement, the word Client and Employer shall be interchanged and have the same meaning. (b) The word Consultant shall mean Continental Environmental Services. (c) The words Engagement/commission/job/service/work shall be interchangeable and have the same meaning. (d) Headings are explanatory and do not form part of the Terms. (e) Wording importing the singular meaning includes the plural meaning and vice versa. (f) Where any Client comprises more than one person its obligations and liabilities under these Terms shall be the joint and several obligations and liabilities of those persons. 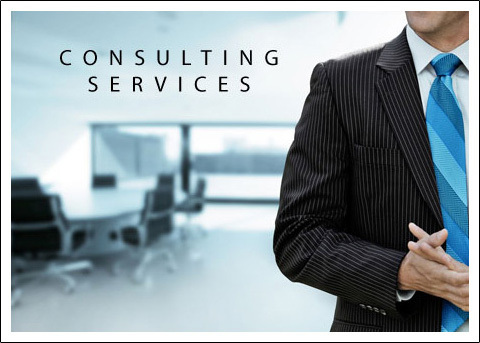 (a) The Consultant warrants that its services will be performed with the reasonable skill and care expected of a prudent and competent consultant in accordance with the standard for professional services at the time of those services are rendered and within the limitations of the agreed scope of the work of the Consultant�s service. No other warranty or representation either experts or implied, is included or intended in its proposals, contracts, reports, drawings or other documents. (b) The Consultant accepts no duty or liability in tort to the client, save for negligence resulting in personal injury or death. (c) No personal liability in either contract or tort is accepted by any of the individual Directors of the Consultant or its staff in relation to any acts, omissions or defaults arising out of this engagement. (d) (i) Subject to clause 3. (d)(vii), the total liability of the Consultant under or in connection with this Engagement shall not exceed the contract value or �250K in the aggregate, whichever is the lesser. B: The sum of �250K or if lesser the amount (if any) recoverable by the Consultant in respect of any claim a professional indemnity insurance policy held by the Consultant. (iii) The Client shall indemnify and keep indemnified the Consultant from and against all claims, proceedings, damages, costs, charges and expenses arising out of or in connection with this Engagement in excess of the liability if the Consultant stated in Clause 3. (d)(i) or 3. (d)(ii) as the case may be. (iv) No action or proceedings under or in respect of this Engagement, whether in contract or in tort or for breach of statutory duty or otherwise shall be commenced against the Consultant after the expiry of the period of 6 years from the date of completion of this Engagement or such earlier date may be prescribed by Law. (v) The client expressly acknowledges that the provisions of this clause 3. (d) satisfy the requirement of reasonableness specified in the Unfair Contract Terms Act 1977 and that it shall be prevented from claiming to the contrary at any future date in the event if any dispute with the Consultant concerning the Consultant�s liability. (vi) The consultant undertakes and agrees to take out and maintain for the whole period of the Engagement adequate insurance cover with an insurance office of repute to cover the liability accepted by it in this clause 3. (d) and agrees to produce at the Client�s request certified evidence of the existence and main terms of the relevant Policy. The Client accepts that the Consultant�s obligation to maintain adequate insurance cover continues for the whole period of the Engagement insofar as such cover is available at commercially reasonable premiums. (vii) (vii) Nothing in these terms of engagement shall have the effect of excluding or restricting the liability of the Consultant for negligence resulting in personal injury or death, or for fraudulent misrepresentation. (e) Contract (Rights of Third Parties) Act 1999 Notwithstanding any other provision of these Terms of Engagement nothing in these Terms confers or purports to confers or purports to confer any right to enforce any of the Terms on or by any person who is not a party the Engagement. The copyright in all drawings, reports, specifications, bills of quantities, calculations and other documents provided by the Consultant under this Engagement shall remain vested in the Consultant, but the Client shall have a non-exclusive licence to use such drawings and other documents for the purpose for which they are prepared and provided by the Consultant, but for no other purpose, subject to payment having been made in full of all fees under this Engagement. 5: Termination Following Breach of Contract. In the event of a breach of these Terms of otherwise of the terms of the Engagement either party may give twenty working day�s written notice of its intention to determine the Engagement setting out the acts or omissions of the other party relied upon as evidence of such breach and if the other party does not take reasonable and expenditures steps to repair the breach during the notice period the party giving the notice may on the expiry or the notice period determine the Engagement by a further written notice. (a) The Client may determine the Engagement in whole or part at any time by three month�s written notice. (b) In the event that the Client determines this Engagement by notice prior to its completion the Consultant shall have the right to complete such analysis and records as are necessary to place its files in order and, where considered by it necessary to protect its files in order and, where considered by it necessary to protect its professional reputation, to produce a report on the work performed to date. An additional charge to cover the reasonable costs thereof but not exceeding 20% of all charges incurred up to the date of the termination of the work by the Client may, at the discretion of the Consultant, be made. (c) Each party shall well and faithfully perform the Engagement during the notice period. (d) The Engagement will, unless otherwise specified, be for a minimum period of 12 months (subject to clause 5 and 6 of these Terms) and will renew automatically on the anniversary of the Engagement and (unless otherwise agreed in writing), the fees and charges for the renewal period shall be those applicable on the expired period, plus a percentage increase equivalent to the annual increase in the Retail Price Index published by H M Government of the calendar year ending prior to the anniversary of the Engagement. (a) (a) The scale of the fees and charges for the Engagement will be agreed and confirmed in writing prior to commencement of work. Where this does not occur, e.g. , on urgent commission the Client will pay for work done on a time-spent basis at day work/hourly rates in force and published by the Consultant from time to time, unless otherwise agreed in writing between the parties. All expenses and disbursements will be subject to an administration charge. (b) Value Added Tax on the Consultant�s fees will be payable at the rate currently in force at the date of each issued invoice. Unless otherwise agreed, invoices will be issued and payable in completion of each month�s (or� part months) work on an interim basis at the end of each month of the Engagement of if otherwise agreed on a stage payment basis notified by the Consultant from time to time. If any item of an account is disputed or subject to question by the Client, the Client shall pay the undisputed amount by the final payment date for payment of the invoice. Any legal fees or other costs of any kind whatsoever properly incurred in collecting any outstanding amount shall be paid by the Client. (c) Payment of invoiced amounts becomes due 7 days after the date of issue of the invoice. The final date for payment of invoiced sums will be 15 days after the due date for payment, and accounts not paid by the due date of payment will be charged interest on a daily basis, currently at 8% above base rate of the Bank of England at the due date of payment or, if greater, the Rate sanctioned in accordance with the Late Payment of Commercial Debts (Interest) Act 1998. (d) Any notice by the Client of intention to withhold payment (pursuant to Section 111(1) of the Housing Grants, Construction and Regeneration Act 1996) shall be given no later than 7 days before the final date for payment of any sum due to the Consultant and to be effective, shall give full details with supporting evidence of the reason or reasons for the disputed amount. The Consultant will review and either revise or confirm the disputed portion of the fee as appropriate. Revised or confirmed fees shall be paid by the original final date for payment or within 7 days of the date of issuing the revised sum, or confirming whichever is the later. (e) If payment due the Engagement has not been paid in full by the final date for payment and no effective notice to withhold payment has been given, the Consultant may, following 7 days written notice setting out the grounds for suspension, suspend the performance of the Consultant�s obligations under the agreement until payment is received. Any such suspension will carry the right to an appropriate extension to time for completion of the Engagement. (f) Where fees are stated as being based on information provided by the Client (including drawings, specifications and the like) and /or an estimated project value, any error in or subsequent amendment to such information or value will give the Consultant the right to charge additional fees based on the revised requirements and / or revised project value as appropriate. Revision to the scope of work arising from new instructions or by reason of circumstances not reasonably foreseeable will be subject to additional fees calculated on a time-spent basis at normal hourly rates, unless otherwise agreed. It the event the Client makes a claim against the Consultant at law or otherwise for any alleged error, omission or other act or omission arising out of the performance of its professional services, and to the extent that the Client fails to prove such claim, the Client shall pay costs including the Consultants staff costs and solicitors or any other legal fees incurred by the Consultant in defending itself against the claim on a full indemnity basis. 9: Obligations of the Client. (a) The Client shall supply to the Consultant, without charge and in such time so as not to delay or disrupt the Consultant, all necessary and relevant data and information (including details of the services to be performed by any other consultants) in the possession of the Client, his agents, servants or other consultants. (b) The Client shall ensure that his decision, instructions or approvals on or to all matters properly referred to him shall be given in such reasonable time so not to delay or disrupt the performance of the Consultant. (c) The Client shall give advance written notice to the Consultant of any environmental or other risks relating to the Engagement which are apparent or reasonably foreseeable given the nature of the Engagement and which may include, but are not limited to, risks arising from the Client�s undertakings, previous use of a site or premises, or the presence of live services, asbestos or other hazardous material. (d) The Client will comply where applicable with the Client�s obligations arising under the Construction (Design and Management) Regulations 1994 including, but not limited to, making available to the Consultant any relevant Health and Safety File under Regulation 12. (e) The client will allow photos to be taken onsite for compliance with ISO 17025 � UKAS accreditation standards. Where photos may be restricted an agreement will need to be reached on a variation from the standard to meet the client�s expectations. Any information concerning the Engagement obtained either by the Client or the Consultant or their agents or representatives in connection with the Engagement is confidential and shall not be used or disclosed by the Client or Consultant or by their agents or representatives except for the purpose of the Engagement or with the express prior agreement on writing of the other party. (a) Negotiation. The parties shall attempt in good faith to settle any dispute by discussion and negotiation. (b) Adjudication. Where this engagement is a construction contract within the meaning of the Housing Grant, Construction and Regeneration Act 1996 either party may refer any dispute arising under this Agreement to adjudication with the Construction Industry Council in accordance with section 108 of the above Act. (c) Arbitration. All disputes arising under or in connection with the Engagement shall be referred to arbitration appointed by agreement between the parties or, in default of agreement, nominated on the application of either party by the incumbent President of the Chartered Institute of Arbitrators, in London. (d) The Engagement and these Terms shall be governed by and construed in all respects in accordance with the Laws of England and each party hereby submits to the exclusive jurisdiction of the English Courts. (a) Neither party shall assign, transfer, novate or in any other manner make over to any third party the benefit and/or burden of the Engagement without the prior written consent of the other. (b) These Terms shall be binding upon the successors and permitted assigns of the parties hereto and the names of a party appearing herein shall be deemed to include the names of its successors and permitted assigns provided always that nothing shall permit any assignment by other parties except as expressly provided. Neither party shall be in breach of the Engagement if there is any total or partial failure of performance by it of its duties and obligations under the Engagement occasioned by any act of God, fire, act of Government of State, War, civil commotion, insurrection, embargo, prevention from or hindrance in obtaining any raw materials, energy or other supplies or any other reason beyond the control of either party. If such total or partial failure of performance continues for a period of more than 90 days and substantially affects the commercial intention of the Engagement the party not claiming relief under this provision shall have the right to terminate the Engagement upon giving 30 days written notice of such termination to the other party. c. Email or other electronic media to a party at the address or relevant telecommunications number or such other address as a party may from time to time designate by written notice to the other. (b) All such notices or documents shall be in the English language and shall be deemed to have been received by the Addressee two working days following the date of despatch of the notice or other document by post or, where notice or other document is sent by hand or is given by email or other electronic media, simultaneously with the delivery or transmission. To prove the giving of a notice or other document is shall be sufficient to show that it was despatched.